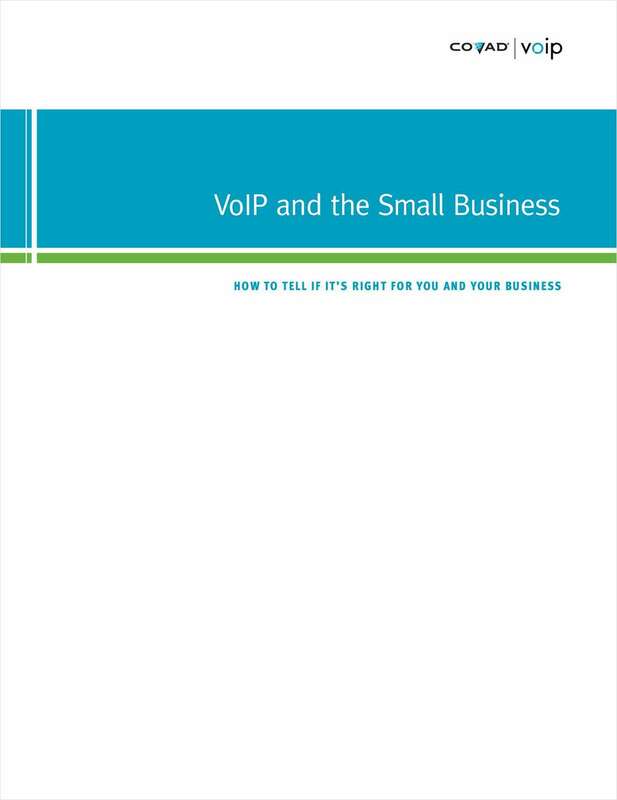 "VoIP and the Small Business: How to Tell If It's Right for You and Your Business"
Free Booklet: "VoIP and the Small Business: How to Tell If It's Right for You and Your Business"
In this insightful analysis, you'll learn the varieties of VoIP and what to look for in a small business VoIP provider. Are ROI, quality, and reliability really there yet? By submitting this content request, I have legitimate interest in the content and agree that Covad, their partners, and the creators of any other content I have selected may contact me regarding news, products, and services that may be of interest to me.